Diving, Parrotts and Caves oh my. Enjoy exploring off the beaten path, so much to see so little time! Don’t miss the magnificent Brac, Gaelic for Bluff, located on the far end of the island stretching 140 feet in the air well worth the drive! 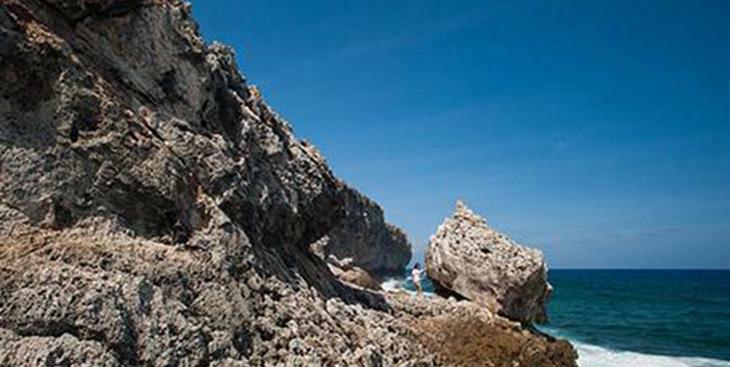 Rugged terrain, hidden caves, and sweeping views of the sea make Cayman Brac an outdoor adventure-seeker’s paradise. The Brac, as locals call it, is unlike any other tropical island thanks to its stunning limestone cliffs that rise 140 feet above sea level. This Bluff makes the ideal backdrop for hiking expeditions and watching the sunrise. On the water, there are countless places to explore, including the famous 330-foot Russian frigate wreck, Radar Reef, Cemetery Wall, and the Wilderness Wall. Big-game fishing is also a short boat ride from shore, as is kite surfing and kayaking. Beneath the water, divers frequently come across sea turtles, nurse sharks, rays and untouched colorful coral, making the island feel otherworldly. 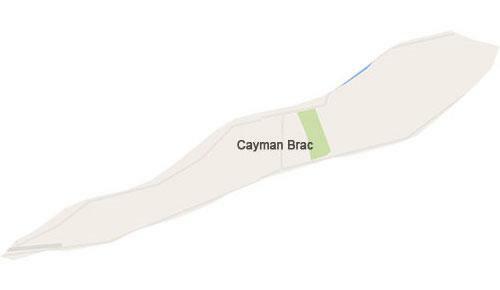 Cayman Brac is best suited for those who are looking for a place to get away from the hustle of modern life and unwind. It is ideal for a retirement property or vacation home. The Brac offers visitors and residents alike a warm welcome, and while there are only a handful of dining options and very little nightlife, there is no shortage of outdoor adventures or hospitality. Flight operations began bringing passengers to Cayman Brac from Grand Cayman in 1955. 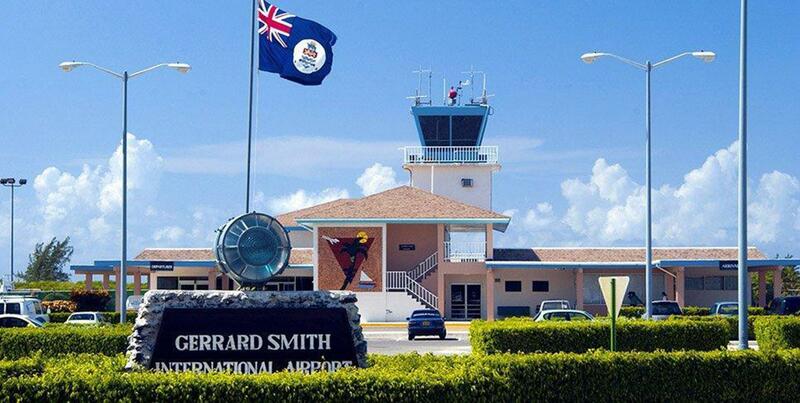 Cayman Brac’s Captain Charles Kirkconnell international Airport, formerly Gerrard Smith Airport, now offers daily flights to and from Grand Cayman. Car rentals are conveniently located directly at the airport. 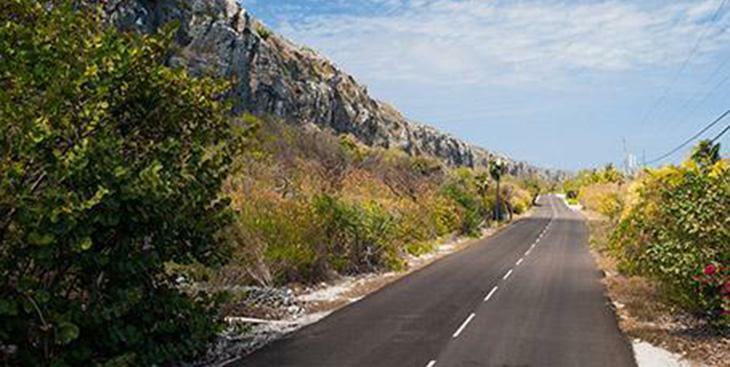 Dramatic scenery can be viewed island wide on Cayman Brac. Whether you decide to take on Cayman Brac by car, by boat or on foot, there is so much to see and do. Diving is exceptional in Cayman Brac. Reefs are vibrant and full of marine life. Schooling fish, coral formations, turtles and even a grouper or two are common sightings. Diving these islands is second to none, and our dive operators are professional, informative and ready to meet your every need. 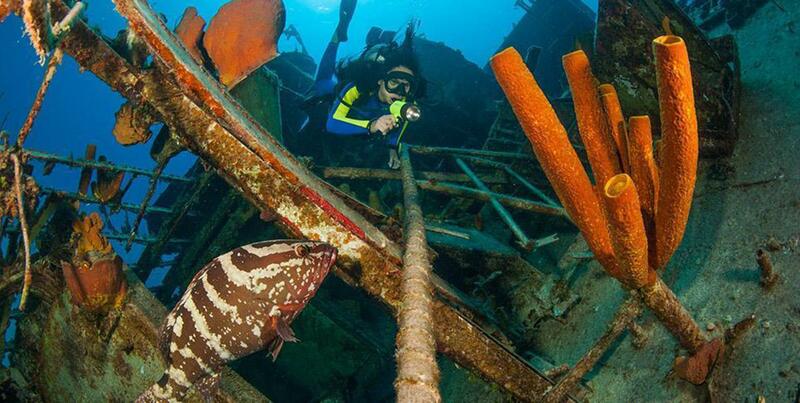 Dive a Russian Frigate, Tarpon Reef or Grunt Alley; our dive sites will never disappoint. 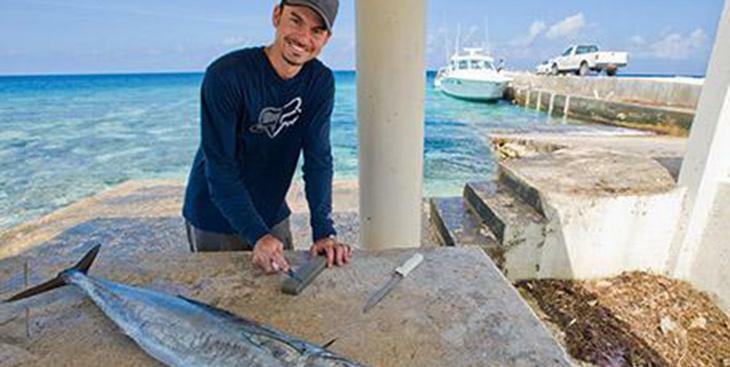 Cayman Brac is known for bone fishing action along the shallows of the southwest coast. Deep sea fishing is available right off shore with big game including blue marlin, wahoo, tuna and barracuda. 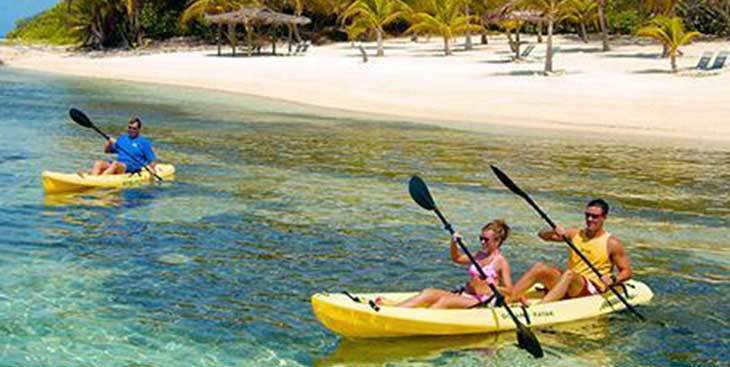 Check with any of the resorts on the island for more detailed information on charters available. 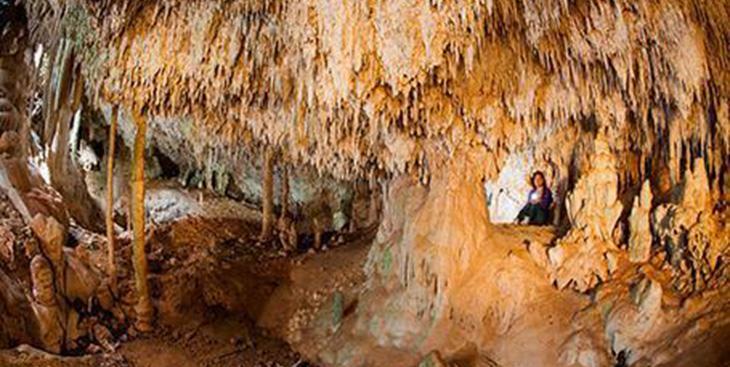 Caves are always a welcome adventure in Cayman Brac. Pick up a map or get directions to Peter’s Cave or Rebecca’s Cave to name a few. 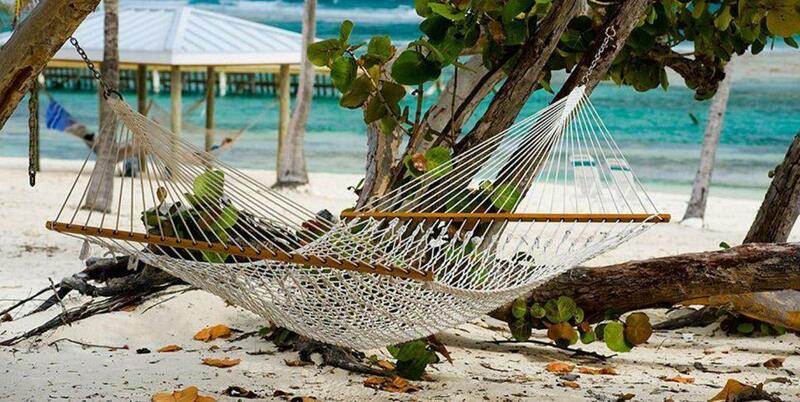 A leisurely day spent relaxing on the beach in a hammock is a must. Enjoy our fragrant tradewind breezes, drift off while listening to our gentle waves and emerge revived and ready for the next day’s hiking challenge. 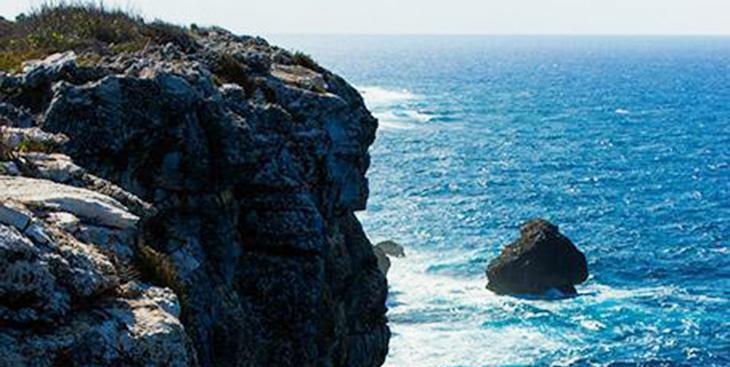 The Bluff is perfect to explore from both sides of the island and has a dramatic drop off to the sea below. Booby Birds, caves and rock climbing are featured activities, however, proper sturdy footwear is a MUST. No flip flops: the rocks in this area are sharp but manageable with proper footwear. Plan ahead. Even if you are not climbing, ask for directions, and don’t forget water.